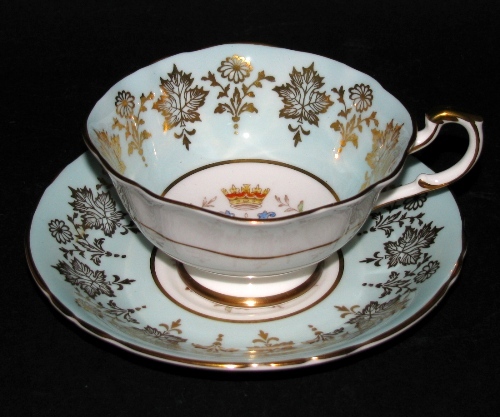 Vintage Paragon Princess Margaret Royal Visit Teacup and Saucer! 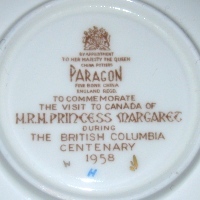 HISTORIC Paragon Princess Margaret Visit tea cup and saucer. Designed 'To Commemorate the Royal Visit to Canada of H.R.H. Princess Margaret During the British Columbia Centenary 1958'. 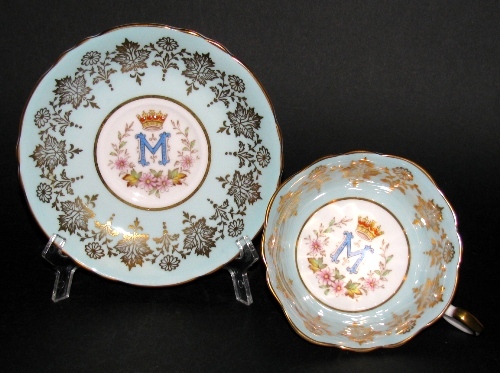 Teacup measures just under 4 inches across 2 1/4 inches high. Saucer measures 5 1/2 inches across. A FABULOUS PIECE! 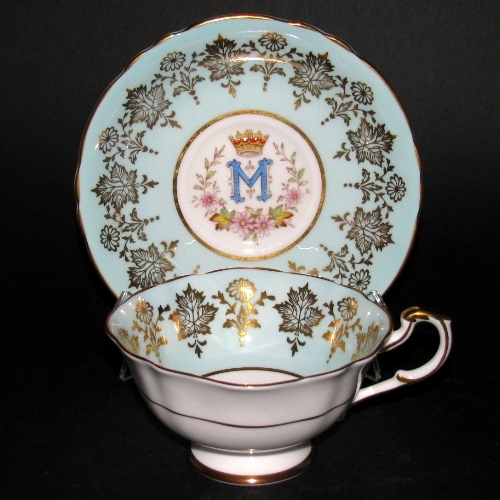 We have a second Princess Margaret teacup in this style available at the link below.